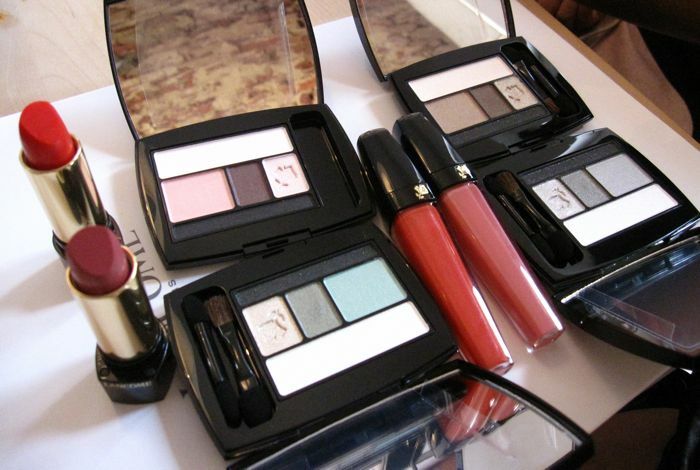 Lancome recently introduced a new line of eyeshadow palettes, Ombre Absolue Impact 3D (S$90). These are already available at Lancome counters in Singapore. Each palette contains 5 powder eyeshadows with varying degrees of luminosity and sparkles. Like the upcoming Maqui Blanc Miracle Compact Foundation, the Ombre Absolue Impact 3D palettes are made in Japan where they retail for 7245yen (about S$111). The shade combinations are the typical OL-friendly gradational combinations that are highly popular in Japan. (OL stands for "office ladies".) The method of application is also very simple and designed to add dimensionality and depth. 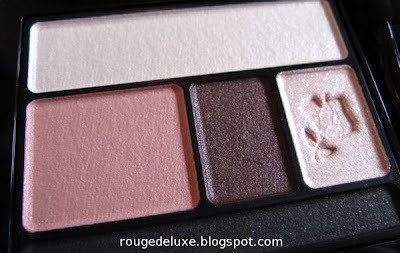 Here's a close-up look at the four palettes available here, starting with A10 Rubis Délices. 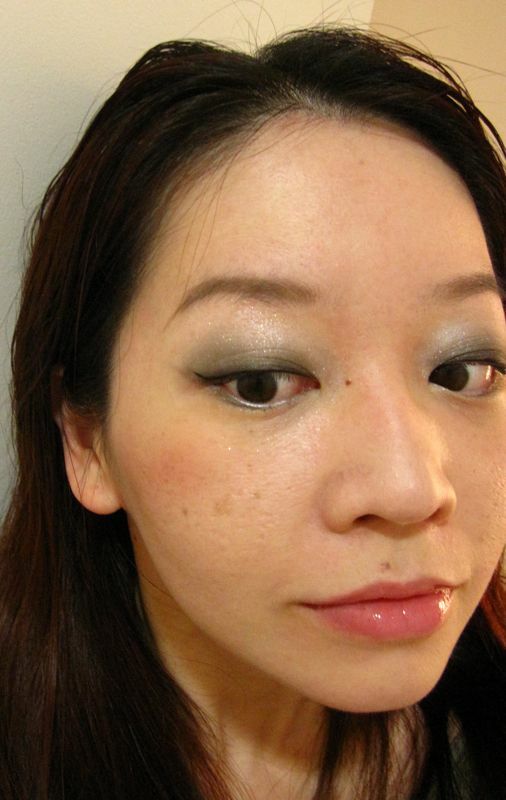 My pics didn't manage to capture the shimmer in the eyeshadows. You can see a Valentine's Day look that Lynn did with Rubis Délices on Hitting The Pan. G10 Étoile Du Soir (which means "evening star") was the instant favourite of Mag, Kas and Sophia at the bloggers' preview event. 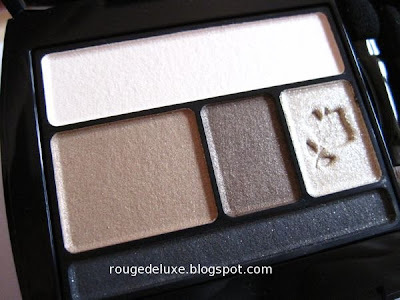 I also chose this to review as I have very few black/white palettes in my collection and this looked like the perfect palette for doing a classic smoky eye. 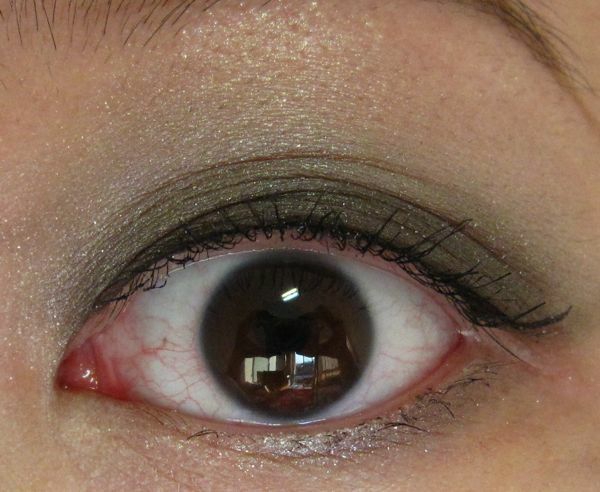 It looks very flat in this photo, but in real life, the shades have a delicate shimmer. Using Urban Decay Primer Potion as the base all over the lid, I used the brush to apply the white shade over the browbone area. Next, I used the broad sponge applicator to apply the the light grey shade in the crease and the medium grey shade from the upper lashline to the crease and along the lower lashline. 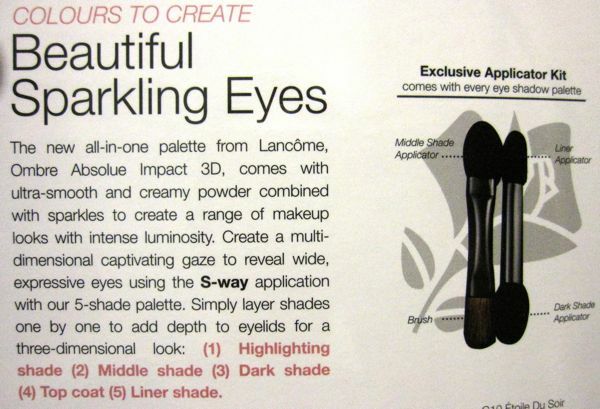 I used the thin sponge applicator to line the upper lashline with the shimmery black and the brush to dust the shimmery silver shade over the eye socket area. I finished by applying Dolly Wink Liquid Eyeliner along the upper lashline and Visee Wide Impact (Curl Long) mascara in BK002 Blue Black. 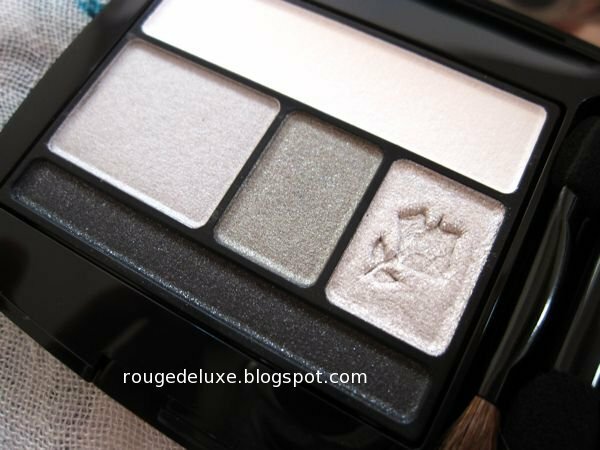 I was impressed by the excellent texture of the eyeshadows, in particular the light grey, medium grey and black shades which were all well-pigmented with a buttery smooth finish. They glide on without any powderiness or fall out. The silver shade (imprinted with the rose motif) is the most sparkly of the lot while the other four shades have a more refined glimmer. 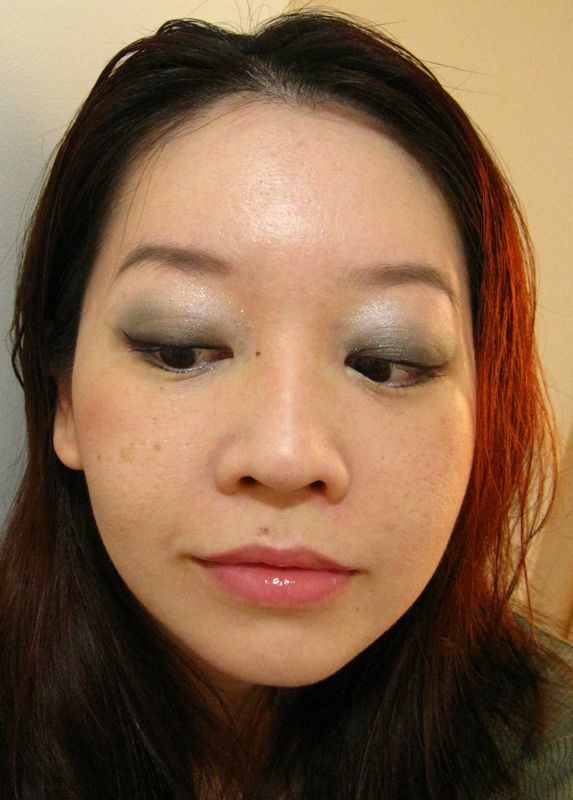 The eyeshadows also lasted very well through a 10-hour day (including running around outdoors in the blistering heat) without any fading or creasing. For this look, I am also wearing the Maqui Blanc Miracle Brightening Creator Compact Foundation in O-01 and L'Absolue Crème de Brilliance 320 Rose Sorbet (S$40). The foundation will be retailing at S$65 for the refill and S$27 for the case. That is certainly pricey but still cheaper than Japan where the foundation refill is 5460yen (S$84) and the case is 1365yen (S$21). Below is the ingredients list (click to view in full size). Overall, G10 Étoile Du Soir turned out to be much prettier than I had expected and I can definitely see myself using this palette frequently. 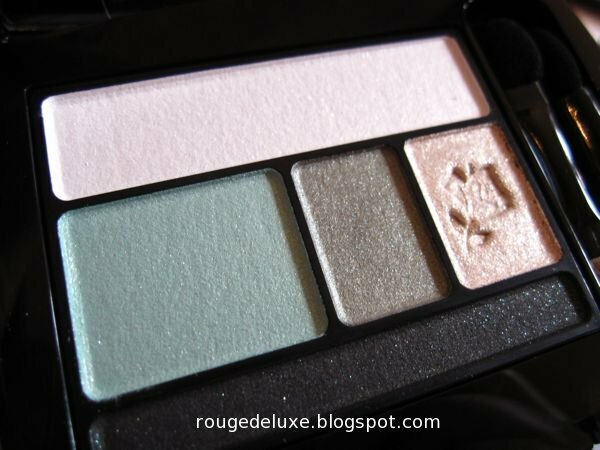 Nevertheless, I wish that Singapore would get the more interesting shade combinations like the US where the Color Design palettes (US$48) come in a delightful array of more vibrant and interesting shade combinations with names like Amethyst Glam, Pink Envy and Teal Fury. Something to keep in mind when shopping in the US! the eyeshadow looks really good on you! You look great in those shades! I'm definitely getting that palette! The eyeshadows look great on you!! By the way, wad lipstick / lipgloss you wearing for this look? thanks!! I'm wearing Lancome L'Absolue Creme Brilliance 320 Rose Sorbet. It's a sheer rosy pink. The palettes retail at $58.50 inside the airport. I saw the 3D palettes at Changi airport dutyfree yesterday and they were S$65. The lipgloss applies sheer and has a nice glossy finish. The lasting power was just average, I still need to re-apply after a meal or eating. Pretty look - I got the Amethyst one today since Lancome had a generous GWP. The palettes we have in the U.S. do appear to be more colorful but I'd love to have that rose one you showed. Maybe Strawberrynet will get it. wow, the U.S. is getting some vivid palettes! I love their ad! Everything looks so pretty, argh. I like midnight rush.